Pets: Email Newsletters Help You Bond With Pet Owners. 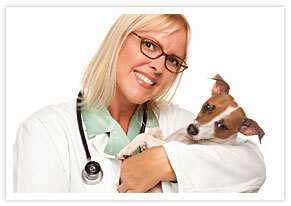 Veterinarians and pet shops send information and specials with email marketing. Feed the appetites of pet enthusiasts with pictures, stories and videos. 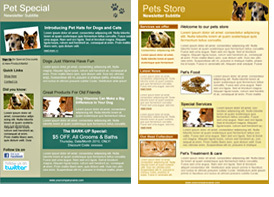 Nurture a growing business with email campaigns featuring pet news. Reward your best customers and their pets with email discounts and special offers. Email Newsletter Software easily produces great newsletters in less time than it takes to walk a dog. Email Tracking lets you see when pet owners open your newsletters and when they click-thru. Email List Management means you can separate and market to your diverse list according to any list segment you want to create. Choose from more than 300 professionally designed newsletter templates created specifically to suit the personality and scope of any sized organization or association.